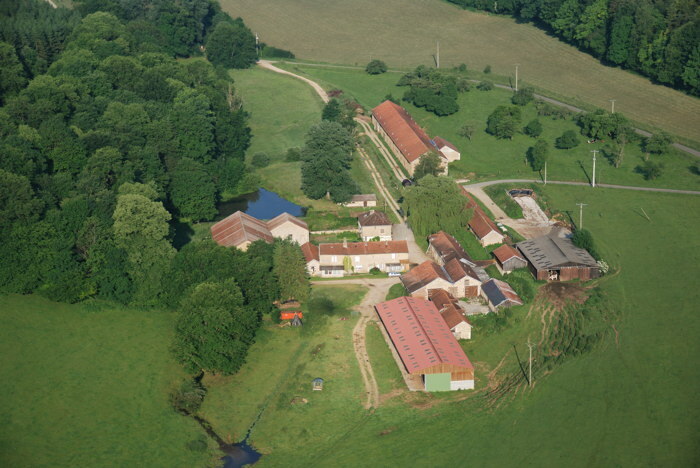 The Kota are in a dairy farm in a green valley of the crêtes préardennaises: an area of animal rearing and of forest, with an exceptional heritage of buildings. You can walk around the farm to discover the animals: cow, calf, chicken, donkey called Eclaire and Griffon, the Ilama called Bones and the two new alpaca: Sia and Esteban. Moreover, Butz is an old village with a chapel of the 11th century. The kota, close to the forest offer numerous track to discover this area full of legend.